I'm officially on a quilt kick. This has never happened before. I spent more than a few weekends at auction houses growing up. I remember my parents' main objective was buying antique quilts but I didn't really "get" the appeal. We always had hand-made quilts on our beds and a few hanging around the house. I often enjoyed looking at them up close, examining all the different patterns and colors that were part of each little square and triangle. Then I'd look around the whole quilt to find other pieces of the same fabric. When I got older I began to notice how different the quilt looked up close compared to from across a room. At Christmas I went home for the first time in a year. Being back in my parent's homes I realized how much I liked the way they had their homes decorated. Interesting antique furniture pieces, unique quilts, lamps and old books mixed with functional modern and non-precious items. Nothing stuff or pretentious or "old lady." 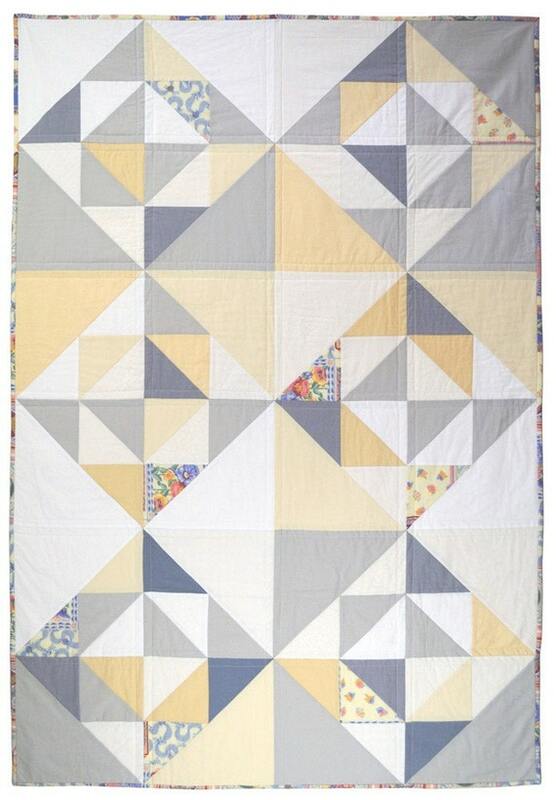 I want to bring quilts back into my life. I miss the weight multiple layers of blankets and quilts have but my husband swears his size 13 arches hurt when he sleeps with too much weight on his feet so we just have a fluffy comforter now. Alas, I am itching to buy one! Of course, I am much more drawn to quilts that are more graphic in nature but even the most "Granny" of quilts can be beautiful, not to mention the time and amazing craftsmanship it takes to create one. So, without further ado, check out these sweet quilts, old and new! Learn more about the Gee's Bend quilters here and here. You can find all kinds of vintage/antique quilts on eBay in all price ranges and in various states of condition. I'd imagine you can also find some good ones in your local thrift shop if you check often. There are many Etsy sellers with new handmade quilts available too and I'll wager a guess that you can commission them to be made in specific colors and patterns for the right price.